Helping You Find Your Bliss. If you’re looking for something a bit outside the ordinary, you’ll find an extraordinary partner in Royal LePage. Maybe it’s a country home outside the city or cottage on a lake. What about a villa by the ocean or in a retirement community? Perhaps you’re looking to live “green” or buy in Bangalore. No matter what it is, we can help you find and secure your little piece of paradise. Recreational properties provide the perfect way to escape the hustle and bustle of the city and spend time with family and friends. 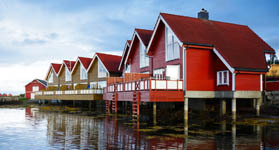 Not only that; a cottage, chalet, cabin or piece of lakefront property is also a smart, long-term investment. Because you won’t likely live near these vacation properties, it’s important to work with a real estate agent who is familiar with the market. Since we have over 17,000 agents from coast to coast, we’ve got you covered. 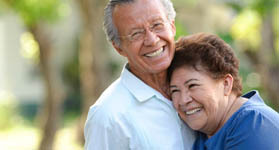 Retirement properties are becoming incredibly popular as the Canadian population ages. You may want to consider a bungalow, where you still have a home and yard but no stairs. 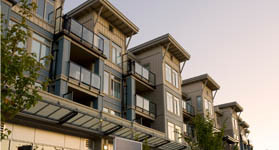 If you want to avoid maintenance and upkeep, a condo or townhome may be the right choice. They usually have good recreational facilities like a pool or gym and are close to art galleries and good restaurants. If you fancy being surrounded by others your own age in a more communal setting, a retirement community could be a good option. Whatever you decide, know that Royal LePage is here to help. We can answer all your questions about real estate, renovations and tax, legal and financial issues so you can have a happy retirement. 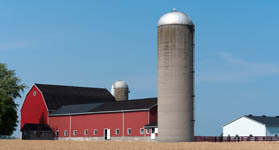 Farm and agricultural properties are very different from other types of homes because you’re not just buying a farm, you’re buying a business. This means, you’ll have to think about things like livestock, crops, equipment and federal, provincial and municipal laws and regulations. Don’t let that intimidate you though. At Royal LePage, we specialize in agricultural properties like farms, ranches and we’ll provide the right advice to help you make the right choice for you. Investment properties are homes you buy to generate revenue. The important thing to keep in mind is that when you acquire an investment property, you become a landlord and that comes with responsibilities. You’ll need to familiarize yourself with the landlord-tenant act in your province, price your rent according to the market values, draft rental agreements, screen potential candidates and more. And a Royal LePage agent can help you find the investment property that’s right for you. International properties. While Royal LePage is a very proud Canadian company, we understand the importance of being connected outside of Canada. As a Brookfield company, Royal LePage can rely on its close relationship with other Brookfield companies located around the globe, as well as Prudential Real Estate and Real Living located in the U.S. In India, a country rich in culture and heritage, Royal LePage has partnered with Godrej Properties Limited, one of the most trusted and respected organizations in the nation. If you’d like to find out more, please contact us at godrej@royallepage.ca so that we can pair you with a qualified agent. 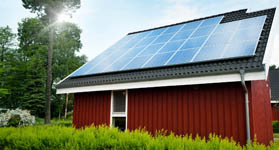 Green Living is becoming more popular and in-demand. As a proud member of NAGAB (National Association of Green Agents and Brokers), Royal LePage can help you identify energy-efficient features that keep home operating costs down and conservation opportunities that improve home comfort. We can also provide you with a personalized Energy Conservation Kit and information on government incentive programs that may be available to you.